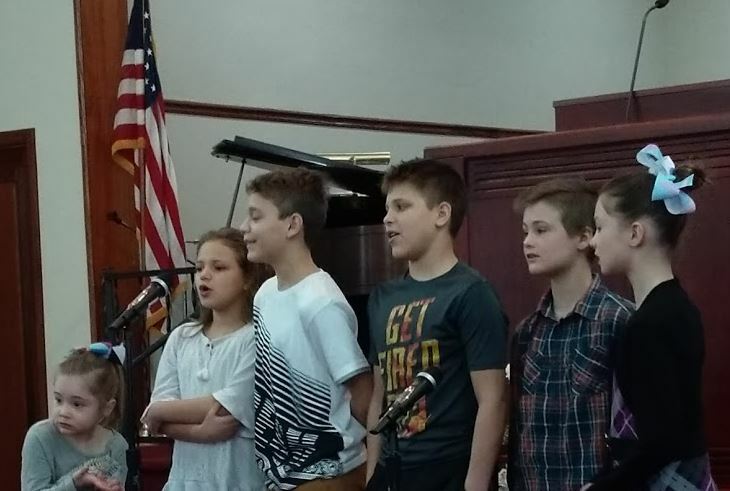 The youth ministries at Southlake Fundamental Baptist Church in Crown Point, Indiana, provide various opportunities for the youth of all ages to enjoy fun, fellowship, and christian growth, in a safe and Godly atmosphere. As in generations past, the world offers a lot of temptation to young people that can often lead to problems and heartache in their lives. It is our desire to support the young people in our region by providing them with sound Bible teaching that will help them to make wise choices in their lives. We also want them to experience the fun and fellowship that can be enjoyed as a Christian without the negative effects that come from worldly living. Living according to the Bible doesn't mean you have to be dull and boring. Through our youth ministries, we hope to show the children and young adults of northwest Indiana that living God's way is fun as well as rewarding. Every Sunday morning we have Sunday School classes for children of all ages - from birth through grade 12. Age appropriate lessons and activities are planned for each age group and are taught by faithful church members who love the Lord and the young people of this generation. Sunday school starts at 9:45am each week. Our Junior Church program is held every Sunday morning and coincides with the 11:00 main service. While the adults are in the preaching service, the children have their own church service with singing, Bible memory, game time, and a Bible lesson. Getting young people involved in service is always important and a great way for children to be a blessing is by being a part of a youth choir. A junior choir is an opportunity for kids to become comfortable being in front of the church and sharing God's message through songs. Teenagers are facing more challenges in this generation than in any that have gone before. Our teen department is an opportunity for teenagers to strengthen their Christian faith and enjoy the camaraderie of other teenagers who are seeking to make Godly choices in their lives. 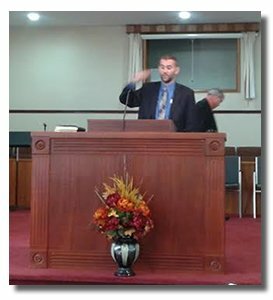 With teen Sunday School and regular youth activities, our teen department leader desires to be an encouragement and help to the young people of our church and area. Our King's Kids youth program meets on Wednesday evenings at 6:45pm and caters to children from grades 1-6. This is a fun and challenging time of games, Scripture memorization, and Bible studies aimed at helping children develop Godly character. Although transportation is available to those of all ages, our bus ministry primarily focuses on providing a ride to church for those children and young adults who have no other way to attend. We believe that all children should have the opportunity to learn about God and His Word in their youth so that they can develop principles for living that will help them throughout the rest of their lives. If you would like a ride to church on our bus, please do call so that we can make arrangements for you to be added to the pick up schedule. Our number is 219-662-1815.